Although there is a perception that Facebook is already old hat, the platform still holds undeniable clout across social channels, particularly for 15 year-old- to 25-year-old demo. Plus, the platform’s 1.15 million active monthly users should not be ignored. 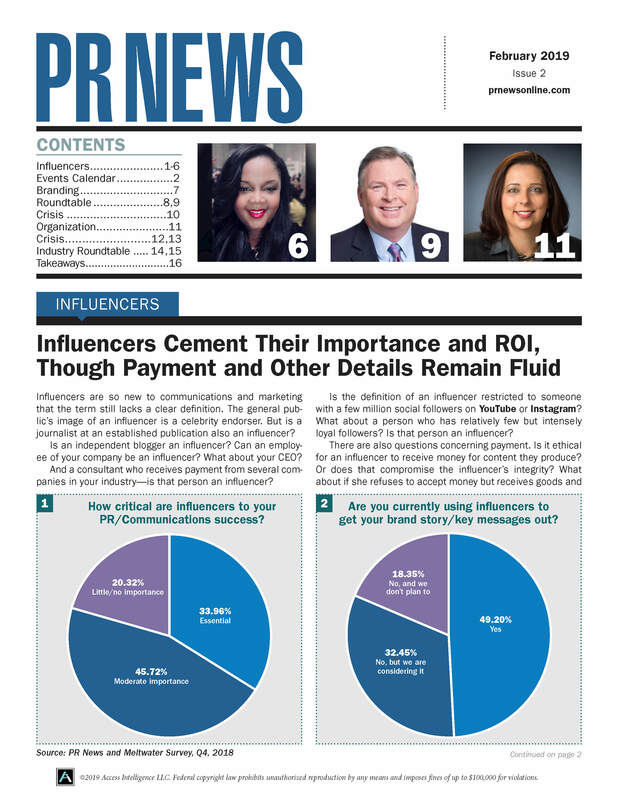 Social continues to create new possibilities for public relations. As brands continue to move further into the social media space, the opportunities (and risks) have never been clearer. At the first session of PR News’ SEO Workshop this morning, Jake Finkelstein, founder and CEO of Method Savvy, and Michael J. Lamp, senior social and digital media strategist at Hunter Public Relations, taught attendees how to improve search rankings and reviewed the founding principles to great SEO placement. It’s National Breast Cancer Awareness month, and brands are going all out to show their support. The challenge lies in the ability for organizations with cancer-related CSR programs to stand out from the crowd and let stakeholders know about the great work that they’re doing. Print ad sales are up. The news serves as a reminder that print is still viable—PR pros shouldn’t shirk their responsibility to this market to focus solely on digital. Here are three pitching tips that will never get old.